1. Sonia Kashuk Tools No. 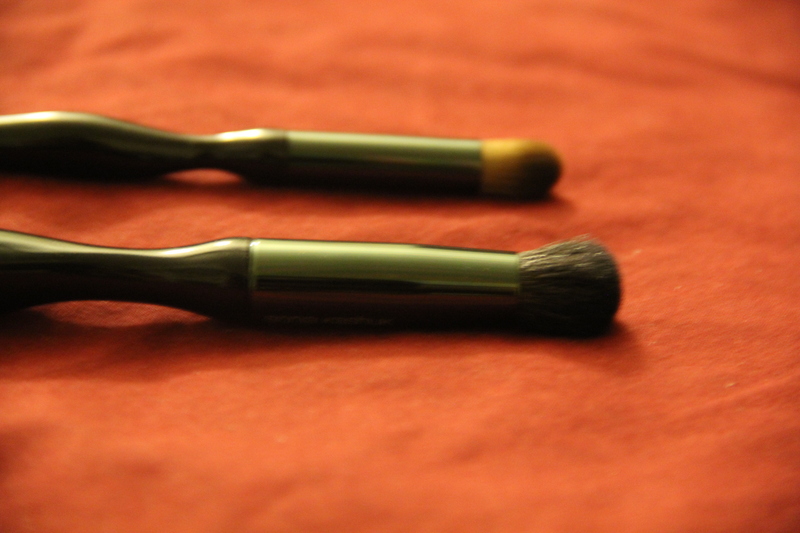 20 LARGE DOMED EYE SHADOW BRUSH – This is a round, fluffy eye brush.. 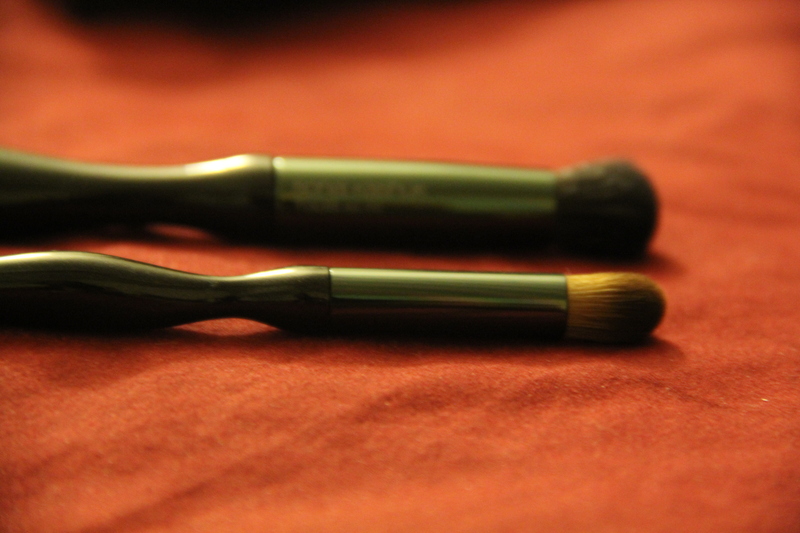 I use it most for blending, not so much for applying the eyeshadow.. It is quite soft and comfortable to use around the delicate eye area.. Made from all natural 100% cruelty free goat hair.. costs $9.59-$12.19 at Target. 2. Sonia Kashuk SYNTHETIC CREASE SHADOW BRUSH – This is a smaller, stiffer, round edged brush.. I use this most for applying concealer around my eyes, nose and mouth.. It can also be used to apply eyeshadow to demarcate the crease of the eye.. 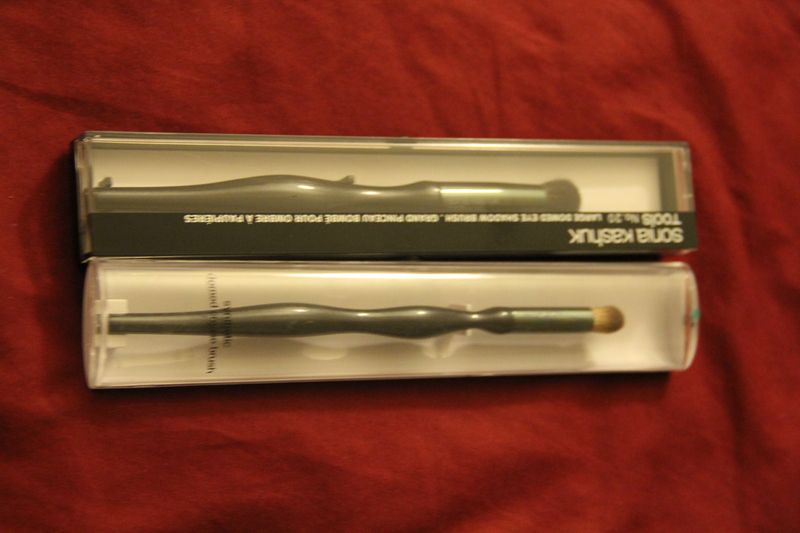 It is not the softest brush I have ever used but it does not poke the skin around the eyes.. Made of synthetic nylon – cost around $9.49-$10.79 at Target… I would pass on this and spend that money on a Real Techniques brush instead..